Scholars' Club: Why checklists are the way forward! 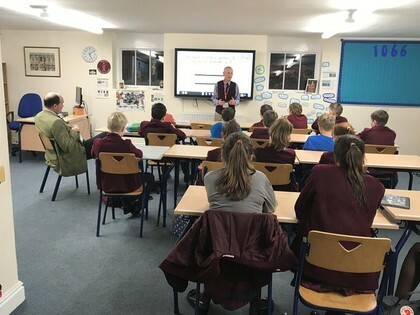 As the snow fell outside, the Scholars’ Club was hard at work on a variety of mathematical problems with Mr David Diprose. Beginning the session with the need for checklists when flying a Vulcan Bomber in the 1960s, he then proceeded to stress the usefulness of a checklist when faced with any tough maths challenge. The children had to find which checklist would help them figure out the distance travelled by an ant spiralling up a tree. They then moved onto challenging tasks involving averages and simultaneous equations. Mr MacIntosh joined in and was impressed with the amount of brain power on show. Checklists are definitely the way forward!